A huge engine in a medium size car is a formula that never seems to get tired. With the advent of modern turbo set ups, the old adage of there is no replacement for displacement is being put to the real test though. Back in the mid 2000s, Audi and BMW both deemed that a V8 engine wasn't enough cylinders for their highest performing mid side sedans. The Audi S6 and BMW M5 changed course and went to V10 engines for this generation of cars. The magic power of depreciation brings us a Lambo derived and glorious sounding V10 German super sedan for under 10 grand! 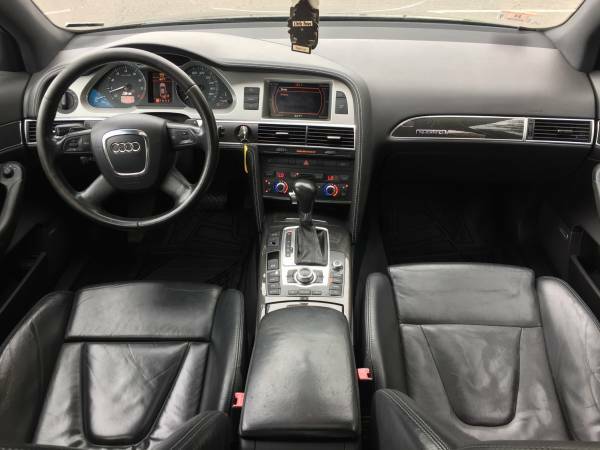 Find this 2008 Audi S6 for sale in Prospect, CT for $8,700 via craigslist. 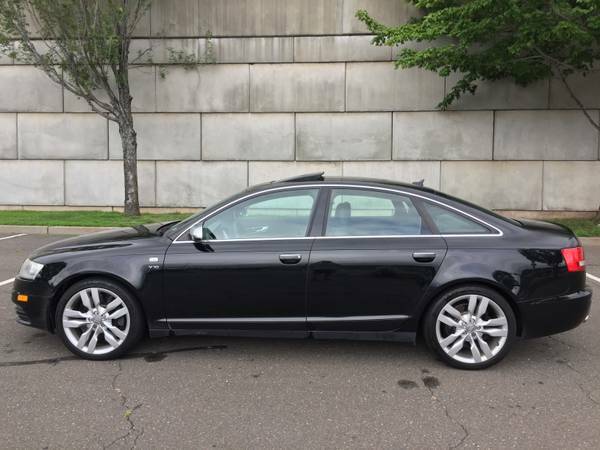 This S6 has 130,000 miles and is equipped with both the winter and premium packages. The seller says the car has OEM Navigation system and every power option under the sun. They priced the car comparatively low because a few issues that need to be addressed. They include a cracked front windshield, an exhaust leak, dead tires, and a passenger mirror. Despite these flaws, the car is said to run and drive without issue. 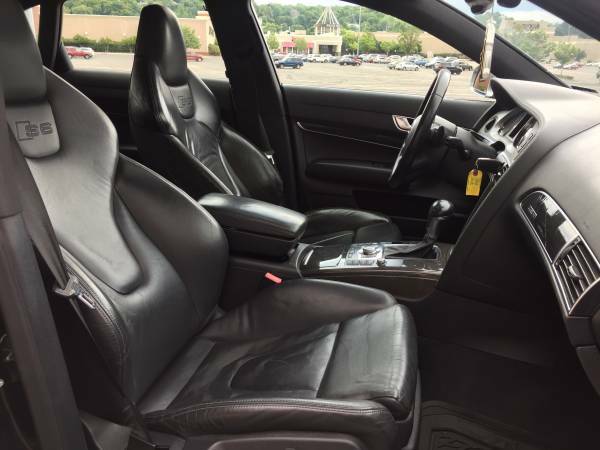 The carbon fiber interior with highly bolstered black leather Recaro seats look positively delicious. The seats look like a modern interpretation of Saab 9000 Recaros. The exhaust leak is actually a blessing. It's replacement would actually be a legitimate repair when explaining it to your significant other. The video clip below makes a pretty compelling case for Milltek pipes! You want to turn up the volume for this one. Cory is losing patience with the dent wizard slow repairs on his 1995 Mercedes C36 AMG. So you are saying that I can just hop on down to the Lambo dealer for engine parts if the Audi guys try and gouge me at the parts counter? Well in that case it's a no brainer.